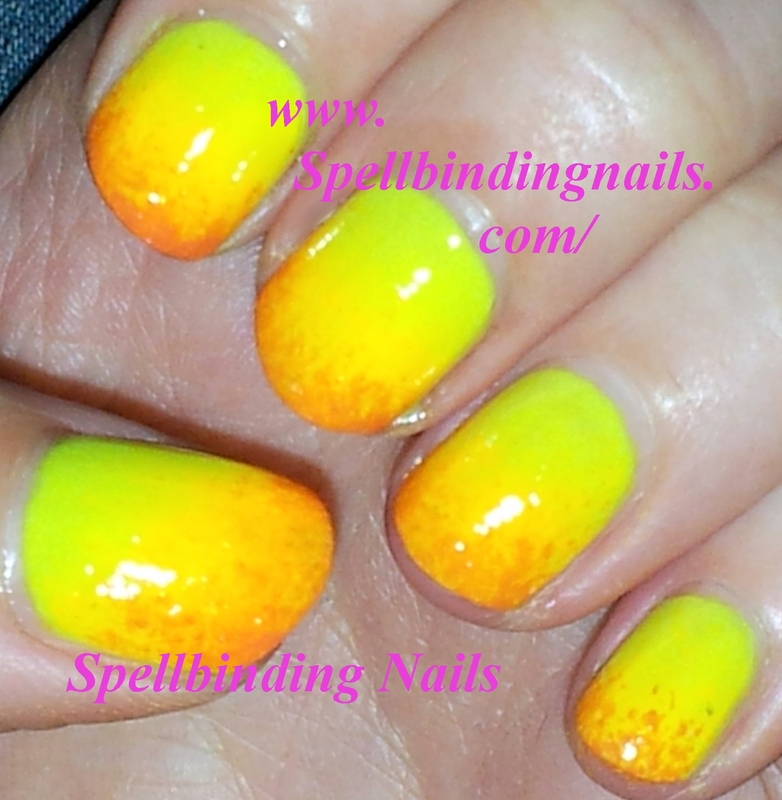 - China Glaze - Yellow Polka Dot Bikini and Sun Worshipper. - Nails Inc polish - New York. - Barry M Nail Paint - Spring Green & Pale Blue. I'm in love with the quality of these Hello Kitty Nail Image Plates. 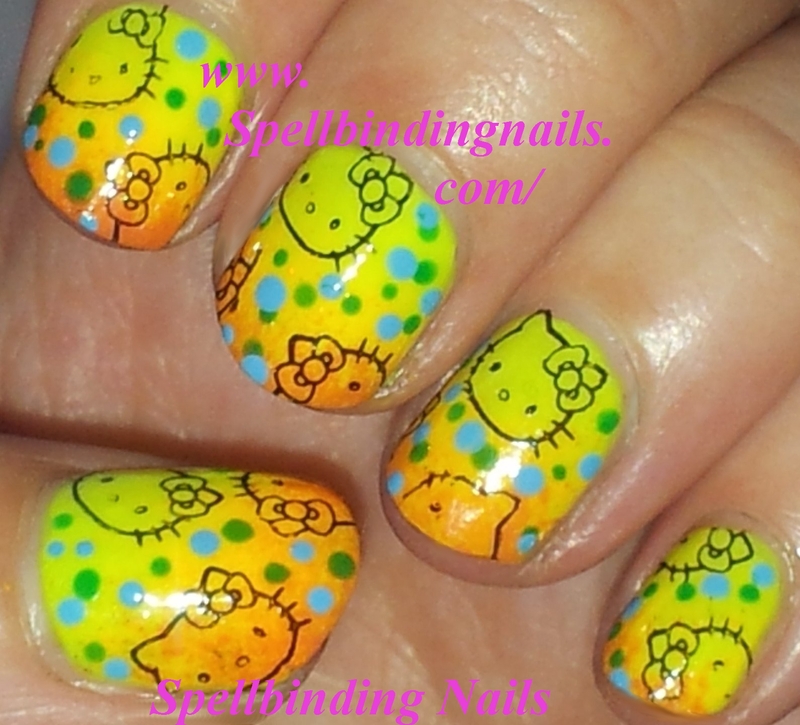 - Two coats of China Glaze's Yellow Polka Dot Bikini. - I then sponged China Glaze's Sun Worshipper up to the half way point, on my nails. - I then sponged Nails Inc's New York on the Tips of my nails. Aww bless! I'm glad she likes this Manicure! 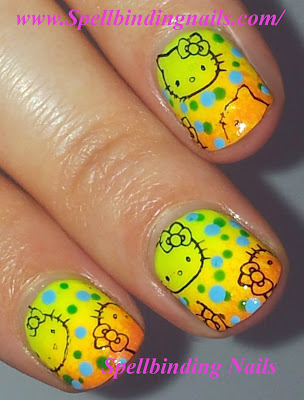 - I love creating fun manicures...Thats why I love Nail stamping - It opens up so many opportunities to create and go crazy! I love all the little details you added! I love this! 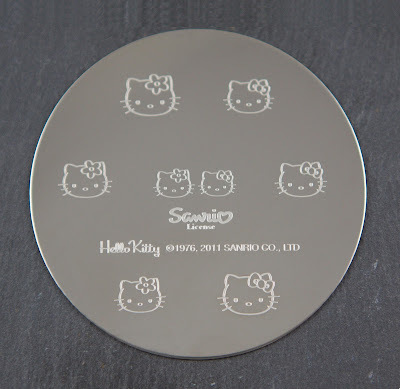 I'm gonna have to look into these plates for sure; Hello Kitty is so awesome. Thank you - I defiantly recommend them! I love it! Really cute! Such a beautiful mani! Looove!